I love Google Calendar- it’s fast, easy to use, and accessible instantly from all of my devices. However, one shortcoming seems to come up time and again as I speak with our clients and other G Suite users- the options available printing Google Calendar are somewhat limiting. While I’m not big on calendar printing myself, especially considering the outstanding Google Calendar Mobile Apps for Android and iOS, I’ve seen many instances where paper calendars need to be posted on a bulletin board or handed to an executive on the go. 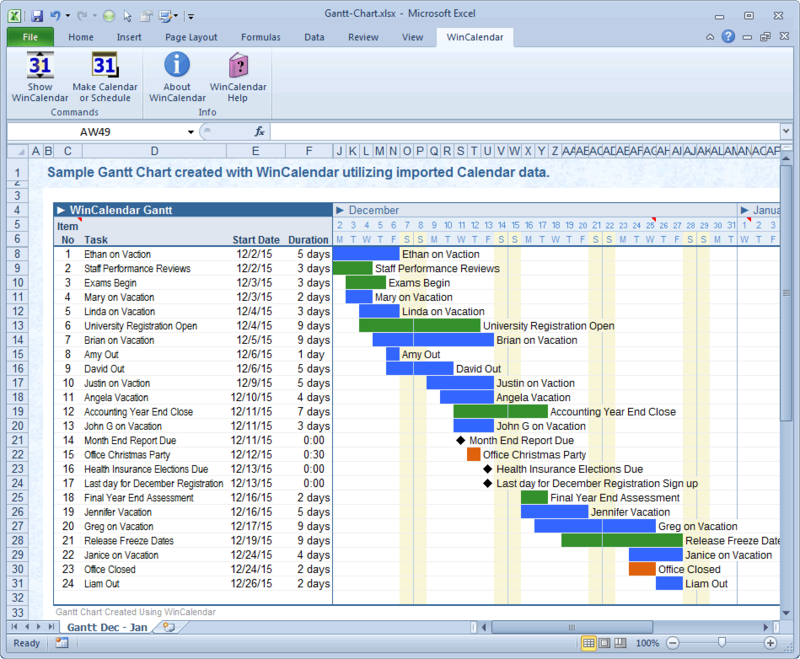 One piece of software we’ve found useful in solving this problem is WinCalendar Calendar Maker. 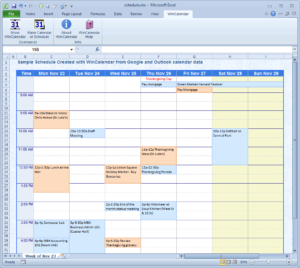 The software allows you to import Google Calendar into a desktop application such as Word or Excel and specify a myriad of formatting options that give greater control over the appearance of your calendar. 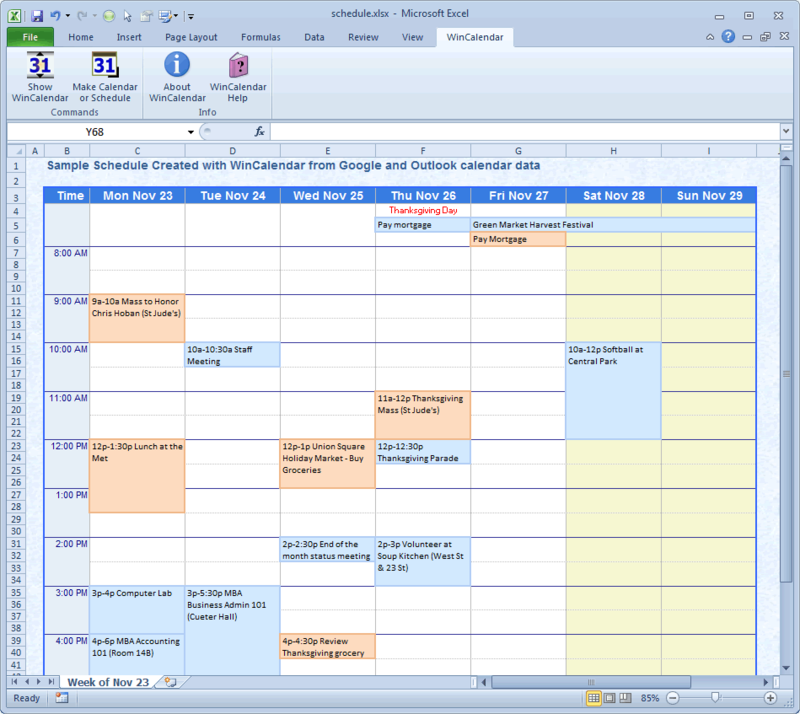 WinCalendar gives the ability the font, color, and style of events in the calendar. Background colors are fully shaded, rather than white with colored text, which I’ve found makes printed Google Calendars tough to read, especially for lighter colors. 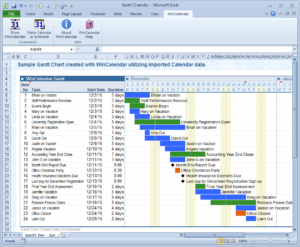 WinCalendar allows for converting calendars into GANTT Charts (timeline view). The ability to filter events by time of day (for example, if you only want to print events during business hours across a date range). WinCalendar offers control over what to show/hide from events- such as the end time, location, and notes. In testing, we found that the necessary WinCalendar add-on for Microsoft Word and Excel only functioned on 32-bit versions of Microsoft Office, and did not work on the 64-bit edition. The WinCalendar software needs to be installed on every machine you need to print from. As your Google Calendar changes, you’ll need to refresh the import in WinCalendar to see the latest version. There’s a demo version available for testing, but if you’re going to use the application frequently, it would probably make sense to shell out the $99 for the Pro version, which supports Google Calendar import.